It’s been a hell of a week for Lance Armstrong. On Wednesday, he was dropped by Nike, who said their decision was due to the “seemingly insurmountable evidence that Lance Armstrong participated in doping and misled Nike for more than a decade.” On top of being dropped by a number of other sponsors, including Anheuser-Busch and Trek Bicycles, Armstrong also stepped down as chairman of his Livestrong foundation. What’s happening to Lance Armstrong right now is nothing short of a witch hunt, and say what you want about him and doping, but what the U.S. Anti-Doping Agency and other people have failed to realize is that proving Armstrong cheated is doing more harm than good. 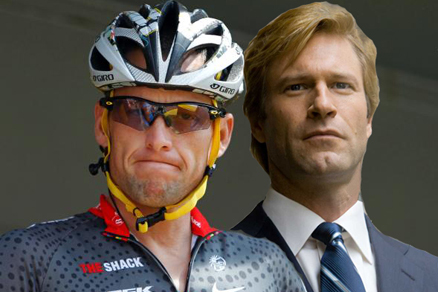 For me, this situation with Lance Armstrong is what I like to call the Harvey Dent Conundrum, something we saw in The Dark Knight and The Dark Knight Rises. In TDK, Dent was viewed as the new savior of Gotham; someone who would clean up the streets and rid the city of crime. But, more importantly, Dent would do it the right way, not by wearing a mask and jumping off rooftops and using cool gadgets. He was Gotham’s White Knight, and when he died shortly after going on a vengeful killing spree, both Batman and Commissioner Gordon agreed that Batman would take the fall for Dent’s crimes. Why? Because both men knew that if the people of Gotham ever learned the truth about Dent—that a man as great as him could fall victim to the madness and anarchy of the criminal world—all would be lost. The result of this decision was seen at the beginning of TDKR. We found out that for eight years Gotham had enjoyed its most peaceful time ever. The police had virtually eradicated all organized crime in the city, and the passing of the Dent Act allowed for stricter penalties on criminals as well as parole denials. The dirty secret held by Batman and Gordon had made Gotham a better place in the long run. But then, Bane revealed the truth about Dent’s crimes to the world, crushing the spirit of virtually everyone in Gotham. Their hero was no better than the criminals he’d fought so hard against. The scab had been pealed, exposing the wound. 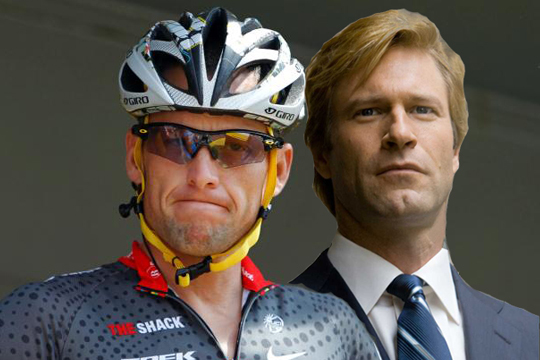 I can’t help but see the similarities between Harvey Dent’s situation and that of Lance Armstrong right now. When he fought back from cancer and won seven Tour de France titles, he became a hero to everyone. He was the White Knight in a sport known for doping and cheating. It’s now been seven years since Armstrong won his final Tour de France, and in those seven years he’s gone on to raise millions of dollars through his Livestrong charity, inspire countless people across the world, and give hope to those battling cancer. So, one would have to ask USADA, wouldn’t it have been better to just keep Armstrong’s doping a dirty secret the way Batman and Gordon did with Dent’s crimes? Was it really worth casting a black cloud over all the good Armstrong’s done just to prove you were right? The sport of cycling is already synonymous with the word ‘doping.’ It feels like everyone in the sport does it, so much so that I basically view it as an even playing field. Now, I’m not condoning cheating in sports, but USADA failed to look at the big picture here. Proving their point about Lance Armstrong will do about as much good as telling a kid Santa Claus doesn’t exist. All it does is kill that spirit of hope. Armstrong’s title may be tainted, but there is nothing fake about the charity and fundraising he’s done over the years to help others. As Harvey Dent said in TDK, “You either die a hero, or you live long enough to see yourself become the villain.” Thanks to USADA, Lance Armstrong is learning that lesson firsthand. Dent’s campaign slogan was “I believe in Harvey Dent.” Well, I believe in Lance Armstrong, and I hope you still do, too.